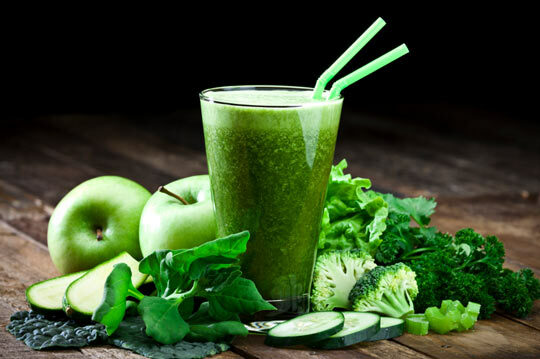 Green smoothies can be healthy and delicious. Adding spices and coconut water can boost the already-substantial nutrition of this easy-to-prepare snack. Spinach, arugula, and kale are good options. Using a mixture of greens helps mitigate the strong flavors of each plant. Soak whole chia seeds for 10-15 minutes before adding them to your smoothie to increase digestibility. Add more to reach desired consistency. Add frozen strawberries, blueberries, or cranberries if desired.